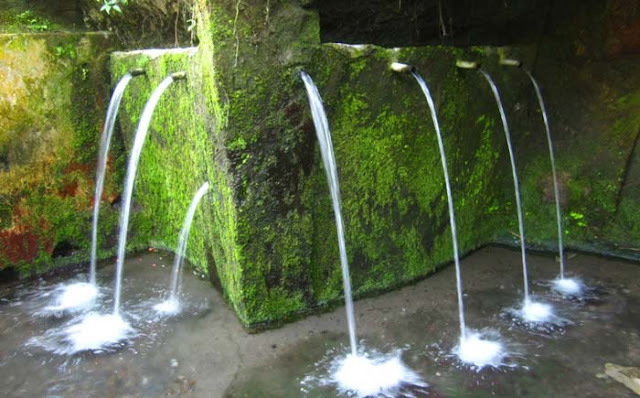 Natural attractions waterfall is one of the natural attractions that exist in Bali. Almost all areas in Bali have a waterfall tourist attraction and one of them Tegenungan waterfall sights in Gianyar area. Unlike the other waterfalls in Bali, located in the mountains or highlands Tegenungan waterfall located in the lowlands. Tegenungan around this waterfall has a view that is quite beautiful with trees verdant. To reach the height of waterfall about 15 meters from the parking lot you have to go into the tens of stairs well defined. You should also along the coast Tukad (river) Patanu to see the waterfall from close range. 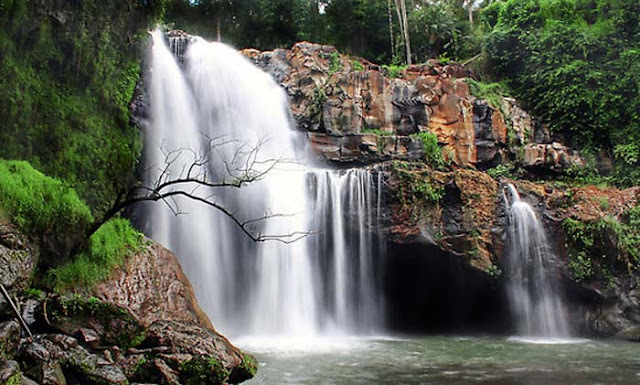 Tourist attractions Tegenungan waterfall is a tourist attraction that is closest to the city of Denpasar have clean water if it is not the rainy season because during the rainy season the water will become cloudy. and do not worry I got there, because if it were the case then you will get to choose many choices other waterfalls in Bali that is not less beautiful. The activities can be done in Tegenungan waterfall that is sitting on top of a rock to enjoy the beauty of the waterfall and hear the roar of water, can also shower or just playing around water, and take pictures to capture the beautiful moments. or if you are a person who has enough guts, you can jump from the top of the waterfall, but it needs to know anyway, although many people often do, we encourage you to not do it because it is very dangerous and in the waterfall area does not have an attendant lifeguard. In addition to having a view of the lush green surroundings, the waterfall is known for its water discharge is quite large, so it is suitable for those who want to swim or just enjoy the beauty of nature. Not far from the waterfall there are temples and bathing spot, made Tegenungan waterfall as a favorite location of people around who want to escape from the bustle of the city. In addition, the location includes easy to find. Waterfall Tegenungan are in Banjar Tegenungan, Kemenuh Village, District Sukawati, Gianyar, Bali. 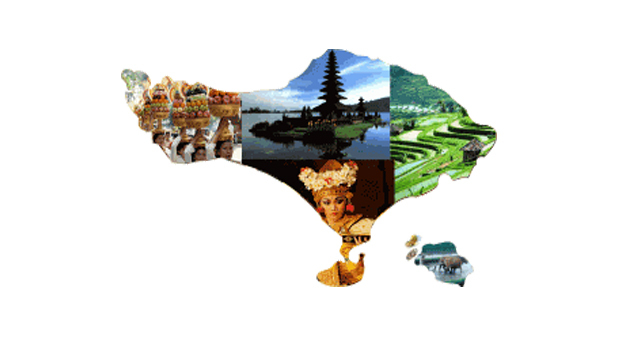 If you are coming from an area within the city of Denpasar is only about 16 km or takes about 45 minutes by car. 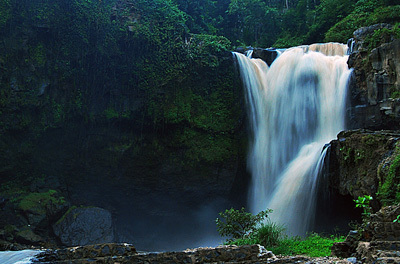 Tegenungan waterfall area is not located in a remote village, but in a place where many tourist attractions are located. because we are talking of Gianyar and Ubud where this place has become a major attraction in Bali on nature and particular culture. However, because this waterfall is a tourist attraction for all communities, the local government to provide facilities such as parking area is spacious enough to accommodate two-wheeled vehicles and four wheels, there is a simple stall selling food and soft drinks, there are restaurants and villas around the Tegenungan waterfall. From the simple shop that you can enjoy a meal or drink while watching the beauty of waterfall Tegenungan pull from a distance.